Ideal way to highlight student's work. 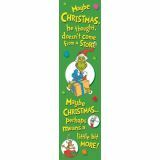 Banners fold flat for easy storage. 11 1/2" x 44". 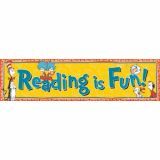 Classroom Banners, Reading is Fun! 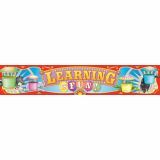 This classroom banner is an ideal way to highlight student's work. 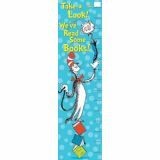 Banners fold flat for easy storage. 11 1/2" x 44". 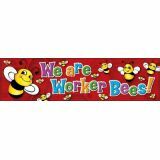 Banner is designed to decorate doors, walls, and bulletin boards. Bnner extends to 12" x 45" and folds flat for easy storage. 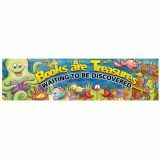 Banner extends to the large size of 45" x 12" and fold flat for easy storage. 69" x 13". 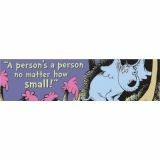 Banners are nearly 6 feet! 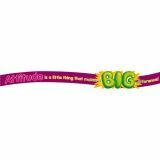 Quotable Expressions Banner, Attitude is a little thing that makes a BIG difference! 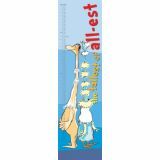 5 Feet Tall Banners! Display them and catch the excitement! 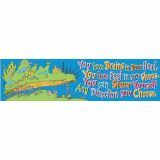 All-new vertical and horizontal Quotable Expressions banners feature die-cut shapes, awesome photography, and motivational messages for all ages. 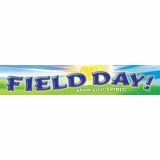 Die-cut banners extend to large 12" x 45" dimension.